If you take Jennifer E. Smith’s ‘This Is What Happy Looks Like’ and Goldy Moldavsky’s ‘Kill the Boy Band’ and combine them into one shocking, sinister thriller, you would get A.V. 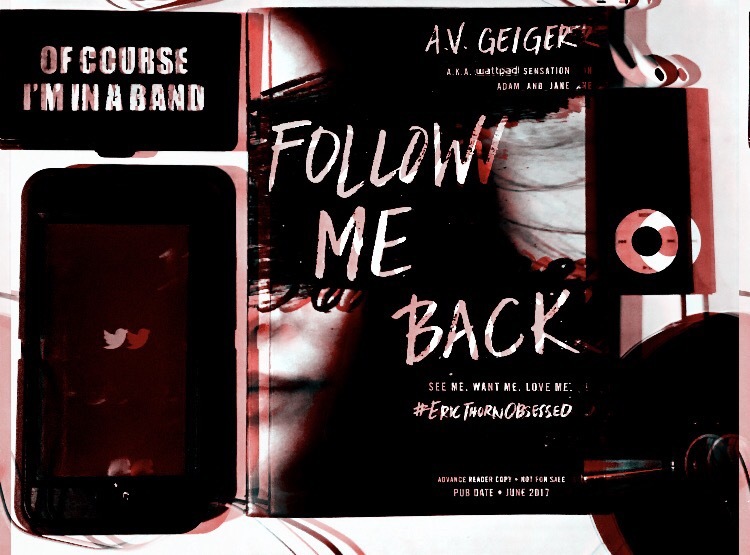 Geiger’s ‘Follow Me Back’. Written in third person, this novel follows Tessa Hart and Eric Thorn; Tessa is an Eric Thorn fangirl plagued by agoraphobia as a result of secret events that took place earlier at her summer camp. Eric Thorn is plagued by a different fear: his fans. After a fellow celebrity gets murdered by a deranged fan, Eric will do anything to protect himself from his 14 million twitter followers–all potential murderers in disguise. Desperate to take the spotlight off of Tessa’s viral fanfic and hashtag #EricThornObssessed, Eric makes a fake hate account for himself posing as a guy named Taylor. What was supposed to be a simple DM between @EricThornSucks and @TessaHeartsEric turns out to be more than either of them bargained for–a lot more. Sweet, intense, gripping, and thought provoking, A.V. Geiger creates a captivating thriller that is sure to shake fangirls to their core. This young adult contemporary depicts the darker side of social media and the infatuation that fans have with celebrities. It’s all fun and games until someone goes too far. Don’t underestimate this novel; it’s not just another cliché romance where the fan and celebrity embark on a whirlwind romance and fall in love, fairy tale style. 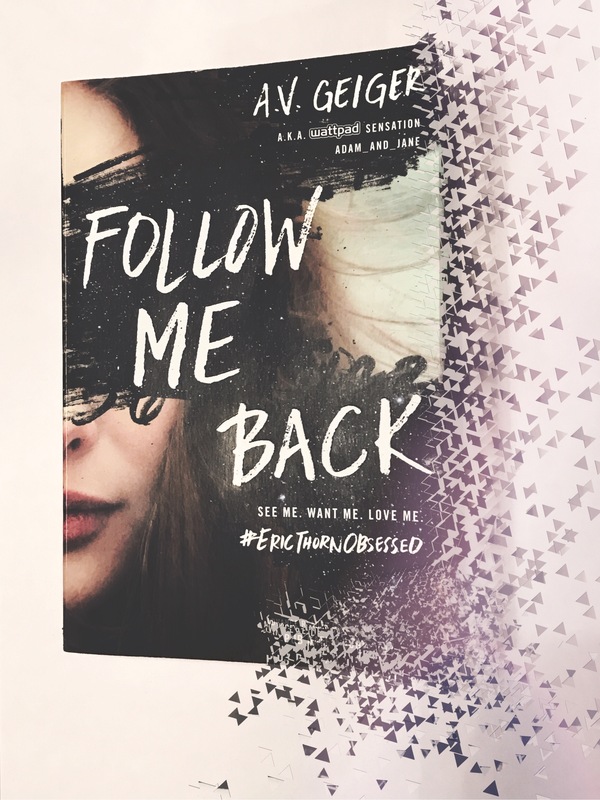 ‘Follow Me Back’ is written in third person, and although the contemporaries I tend to read are usually written in first person, I loved this one. Her writing style is very easy to read and flows extremely well. The interruptions of the flashbacks to go to present time at the police interrogation room were well done, and added to the story by foreshadowing events that were to come. I found Tessa and Eric to both be likable characters, who were most definitely dynamic as they changed from the start of the book to the end. Tessa’s backstory was revealed in a great way, closer to the end of the book; it never felt as though her backstory or the plot in general was dragging. The use of psychology terms was especially interesting to me, as I am in a psychology course right now. As a musician, the thought of fans loving me so much they would actually kill me is an extremely unnerving and scary. Not that I’ll ever get to that level of fame, but it’s definitely a downside that is never talked about. One of the things that makes this book so good is how realistic the starting situation is; as a fangirl, I talk to fellow fans, aka random strangers, online everyday. Granted, I’ve made a few real friends through this, but in reality we really never know who we’re talking to. While the escalation of the situation will most likely not happen to any of us as it is depicted in the novel, the opportunity for that to happen is definitely present in our own lives. This book left me speechless. As far as I can recall, this is one of only two books that has left me legitimately unable to speak. By speechless, I mean I closed the book and stared in front of me for a solid five minutes unable to form any words or thoughts, all while my family continued on with their night as if I wasn’t just blindsided by the biggest plot twist ever. As an avid reader, I can usually spot surprise plot twists before they happen at least to some degree, but not this time. After I saw that there would be a sequel I felt a bit better (even though it doesn’t come out until Summer 2018!) but to be totally honest I’m still pretty shook over 12 hours later, and recommending it to every person I talk to today. Overall, this book was an amazing read and I absolutely cannot wait for the sequel; I’ll definitely read it again. Fans of thrillers will devour this just as I did, and I can’t wait for more books by A. V. Geiger! This title will be released on June 6, 2017. It is published by Sourcebooks Fire. Connect with the author! You can follow A.V. 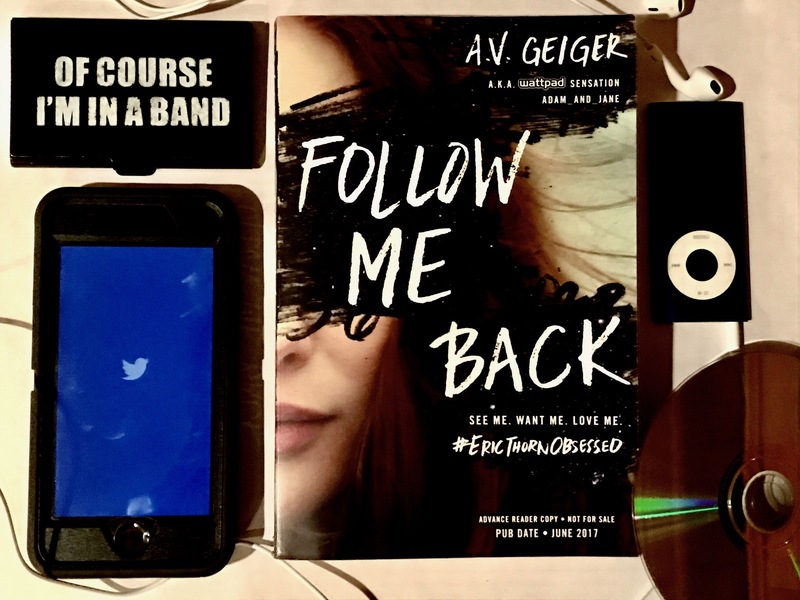 Geiger on twitter at @av_geiger , Instagram at @avgeiger, and on Wattpad at adam_and_jane! Here’s a few more photos I took / edited that I loved, but decided to post the above picture on Instagram because it showcases the book cover more!